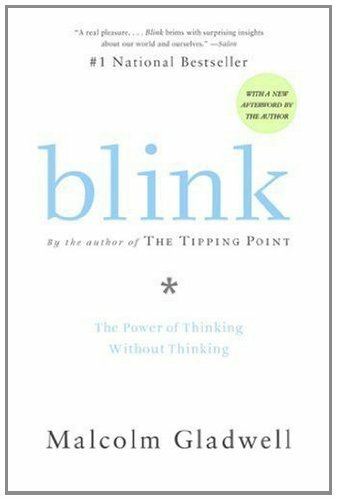 Blink isn’t an easy read; it’s pages of research to prove one simple point: Your first thought, decision, observation, your gut feel, is probably your best. We spend too often thinking too much about our thoughts that we talk ourselves out of our decision. And Leadership is all about helping people make decisions. Demonstrate it, help them grow the skills and have access to the tools to make decisions. Don’t get me wrong about the book, it’s worth pursuing as it’s fascinating reading and if you are interested in heightening your decision making skill – make the time to understand the reasoning. I’ve distilled the research for my own purposes (eight bullet points below) but for those who enjoy detail (sadly not me) order yourself a copy using the link to Amazon on my site for your convenience. In 2000, Malcolm Gladwell, author of Blink, rose to fame with his famous and often quoted book, The Tipping Point. If you haven’t read it – add this to the list. Its message identifies that small actions at the right time in the right place with the right people can create a dynamic shift and create a trend. Twelve years later, Blink caused sensation at the time of its release. Malcolm was telling us to go with our gut brain, yep, the one in your abdomen, which generally makes a decision before the other brains in our body. · In the first two seconds, we make good snap judgements and decisions. · In the following seconds, minutes and hours, we debate this initial judgement. · That listening with your eyes is more judgemental than listening with your ears. · ‘Thin slice’ moments is training ourselves to unconsciously find patterns in situations and behaviour to read and understand people; better and quickly (a video in slow motion capturing every single move). Filtering the very few factors that matter from an overwhelming number of variables. · That facial expressions and tones can be coded to understand the underlying message. · Patterns of behaviour don’t change unless intervened which means you can observe and predict future activity. · We don’t deliberately choose our unconscious attitudes, we may not know we have them – think bias, sexism and ageism and these can be opposite to their stated conscious values. · We can train ourselves to change about our choices, requiring us to thin slice and action every slice. My strong gut feeling which I sometimes ignore has now progressed to one of my key decision making guides. Too often, I (and many women I speak with) don’t listen to it enough. Similarly, when people waffle on too long and I want to yell and scream “cut to the chase” is also resurfacing as a good detector of my decision making fatigue which sets in when too much detail is offered. As Stephen Covey told us in Seven Habits of Highly Effective People, many years ago, we all need to 'sharpen our saw' as leaders. Continually learn. We have the potential to save ourselves a lot of time if we applied what Malcolm Gladwell has shared with us in Blink. I’m endeavouring to read 52 Business/Professional/Personal Development books in 52 weeks. Yep, that’s one a week. As I read each book, I’ll share my thoughts, learning and recommendations. If there is a book that you’ve been meaning to read, let me know and I’ll read it for us! Thanks to Karen Smythe for sharing Blink with you and me.